With school winding down for the year and having finally finished writing my doctoral dissertation, I am all about looking for books that offer me an escape from my own reality. I am very much into books that are full of great plot and drama as well as those that take you to places that are far away from your everyday life. I am thoroughly enjoying escapism through reading. Tell No One by Barbara Taylor Sissel gave me all of what I have been seeking in a book lately. At the heart of a novel is an old truth: lies within families will fester and boil over in unexpected and shocking ways. They will trickle down among generations and touch lives that weren’t even yet considered when the lies began. Beginning with a deathbed wish, family secrets spill over through the voices of two siblings as scandals emerge in the family. Several plots lines run throughout the book involving financial crimes, PTSD, addiction and secrets so scandalous they cannot be spoken about. Sometimes other people’s choices and actions will shape us even though we think we are consciously avoiding being taken in by them. Also, sometimes good and bad go together and are not often so clearcut, but rather survive in our world as a gray area where distance sometimes means the difference between the two. Overall, Barbara Taylor Sissel delivers with Tell No One. She creates an immersive world where you remain the entire time that you are reading her book. 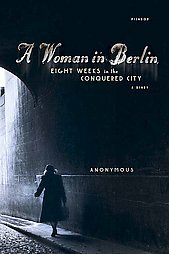 As you read, you feel as though you are part of her story, watching as a family comes to terms with things long buried and ultimately meets a dramatic, action-fueled end at the conclusion of her narrative which in turn, will hopefully lead to what everyone is searching for: forgiveness both of other people and of themselves. Tell No One by Barbara Taylor Sissel shows the complexities of families and of the demons we both acquire from our families as well as though that we create for ourselves and in turn, unleash onto our families both consciously and unintentionally. Tell No One by Barbara Taylor Sissel will be available for purchase on May 14, 2019. It will be published through Lake Union Publishing with ISBN 9781542040457. This review was written after receiving an advanced electronic galley from the publisher in exchange for a review. When I had received this galley, I was not aware that I was part of a series. The Southern Side of Paradise is actually the final installment of the Peachtree Bluff Series which focuses on a mother, Ansley and her three daughters: Caroline, Sloane and Emerson as they divide their time between New York City and Georgia. Each are struggling in terms of their relationships: Ansley is engaged to the love of a her, a man that she left when she was young while Caroline has discovered that her husband James has been cheating on her and Sloane is dealing with her injured husband who is back from being captured during the war. While the first two installments of the Peachtree Bluff Series focused on the stories of the older sisters, The Southern Side of Paradise is narrated by the youngest daughter, Emerson, who is an actress with a flair for the dramatic. This installment is her story. I think her being the youngest of the girls, made the narration seem whiney and immature in parts, but it didn’t take away from the overall feel of the book. It just made for the story to be more believable since this was the story of a young woman who was beginning to find her own way. Without having read the first two books in the Peachtree Bluff Series, I did find myself somewhat lost in reading the last book. I did not fully understand all of the conflicts and relationships as well as I could have had I had the background of the first two installments. However, The Southern Side of Paradise, was a light read that immediately plunged me into the world of the Murphy girls and their lives and adventures. 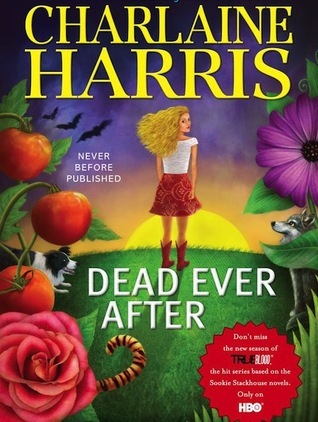 After reading this installment, it made me want to go back and read the first two books so that I could not only better understand, but more so fully enjoy the lovely Southern town that Kristy Woodson Harvey created for her characters. This was a quick read that really put me into that summer mindset. I am ready to find my own pool and big hat and enjoy the heat. The Southern Side of Paradise by Kristy Woodson Harvey is scheduled for release on May 7, 2019 from Gallery Books with ISBN 9781982122096. 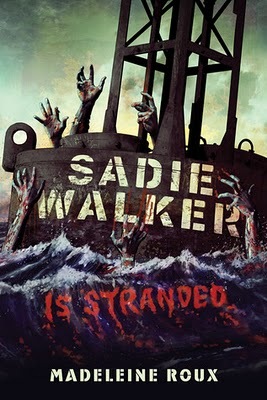 This review was created using a pre-release electronic galley of the book from the publisher. The story of Chris McCandless isn’t exactly new. There were plenty of young men before him and plenty after him that believed, almost arrogantly, in their intelligence and ability so much so that they felt that even against the strength and almighty power of nature at its most wild that they would win out regardless of how ill-prepared they were for their journey. McCandless was a smart, well-educated twenty something from a well-off suburb of Virginia. His family, friends and those that knew him described him as such adding that, Chris often liked to be alone, not in the sense of being a “loner” and all that that term conjures, but in that, Chris didn’t mind being alone and often was, finding ways to entertain himself. He enjoyed wandering. He took long trips across the US and would often disappear for long stretches of time. After his graduation from Emory University, McCandless did just that. He packed up and left, eventually getting rid of his car, possessions and even burning what little money he had on him. From there, he drifts all over the West before finally trekking into the Alaskan bush country with ill-fitting boots and little to no food on him. He plans to live off the land and strike out on his own totally negating the fact that he does not have the supplies needed nor has he taken the time to build the skill set that is needed to survive in the wilderness. Ultimately, the end of Chris McCandless is evident and it’s easy to write him off as a know-it-all kid that got in over his head and paid the ultimate price. And in some parts I do have to agree with that. He had a comfortable life set up for him and he gave it all away to pretty much tell his parents, up their’s. 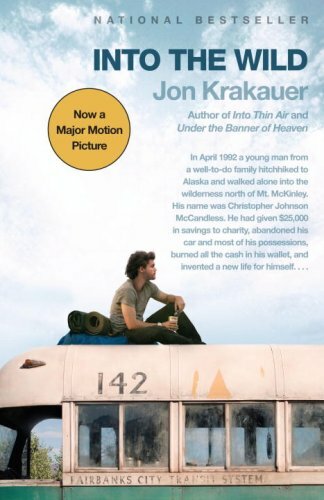 On the other hand, Krakauer also includes stories of other boys who did the same as McCandless including stories of his own rebellion and his stupidity and near-death experience in trying to climb the Stikine Ice Cap. He spoke of how in your early twenties you grasp mortality, but your own seems so far off and something you’re incapable to completely understanding that you almost want to push yourself into the tip of it, the brink in order to look down on it and feel it. Which, I get. It reminded me of how when I was 23, I went sky-diving and nothing makes you feel mortal and face your own mortality more than throwing yourself out of a plane and plummeting to earth with nothing but some flimsy material to save you. It was exciting, thrilling and it took away any and all control I had over myself and my well-being. It was exhilarating and something I probably will never do again. Overall, did Chris McCandless over do it on the rebellion? Heck yes! But, his story and John Krakuer’s take on it does make for a good read. Book Information: Into the Wild by Jon Krakauer was reissued on August 21, 2007 through Anchor Books with ISBN 978-0307387172. In November 2014, Chris’s sister released her own memoir of why Chris went into the wild and tells the story of what her family and upbringing were truly like in, The Wild Truth. Lush and dream-like, Bless Me, Ultima takes us to New Mexico in the 1940s where six-year-old Antonio Marez tests the bonds that tie him to his people and to his past. When a famous curandra, a healer, moves in with Tony’s family, he becomes emmersed in a world of the old ways, the pagan ways. For a boy that is on the cusp of making his First Holy Communion, this troubles Tony and often makes him question which God is the right God. Is it the God found in church? Or is it the old Gods, the ones that he finds all around him? To guide him on this journey of self and of truth, the curandra or la grande, Ultima takes the boy under her wing, bringing him with her to help cure the townspeople of the curses that have plagued them. For such a young boy, Tony is exposed to many things including deep, earthly magic and even murder. He remains strong and resilient in his quest to find the truth and his rightful path. Told with such language, description and emotion, Bless Me, Ultima is almost written magically, plunging the reader into the mystical world of New Mexico and the culture of its people. Book Information: Bless Me, Ultima by Rudolfo Anaya was published originally published in 1972. This review refers to the 1994 edition published by Grand Central Publishing with ISBN 978-0446600255. I have not read a lot of literature involving Native Americans and culture, but I did find Love Medicine and decided to read it. Published in 1984, Love Medicine tells the story of a group of Chippewa living on a reservation in North Dakota. Erdrich chronicles 60 years of the lives of these people. She opens her novel with the passing of June Morrissey who freezes to death in a snow storm trying to get back to her family. The novel continues in a very conversational way, introducing us to various members of the family and reservation which is reminiscent of Native American culture wherein stories were spoken, not written. Erdrich richly paints the trials and difficulties of living on a reservation, revealing the alcoholism and abusive relationships that plague many of the people that live there. With younger generations, Erdrich explores what it’s like to be an Euro-Indian, wherein the unfairness and often clear resentment of the US government is evident and explored. 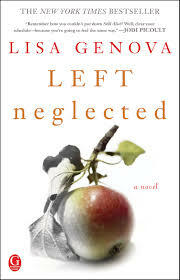 What I found difficult of the book was keeping the relationships of the characters in order. There are many affairs and surprises of paternity that occur throughout the book, often times the characters themselves not even being aware of their true parental lineage. I had difficulty keeping it all straight, especially when trying to understand where alliances stood and why. 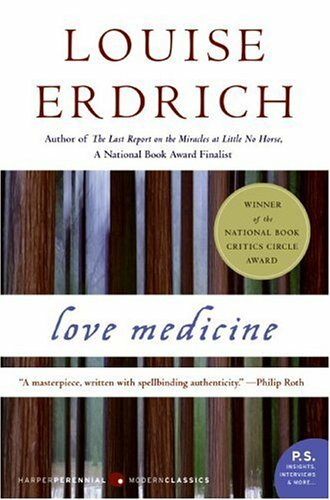 Book Information: Love Medicine by Louise Erdrich was originally published in 1984 with a revised edition having been released in May of 2009 by Harper Perennial with ISBN 978-0061787423.